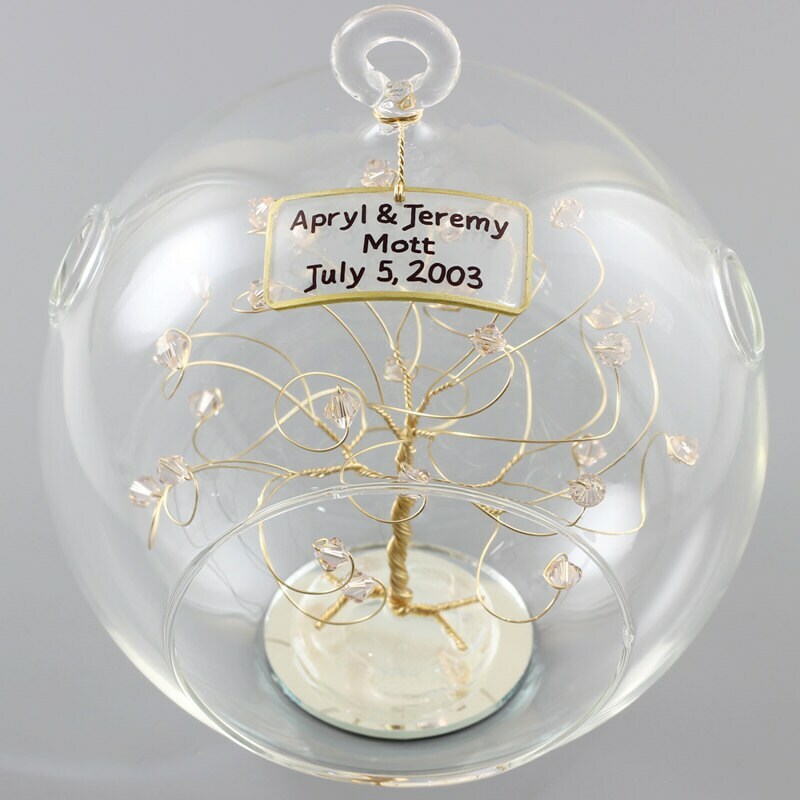 Create a personalized wedding gift ornament featuring the couples names and wedding date. Makes an excellent wedding christmas gift, wedding gift, or create an ornament to match your tree sculpture cake topper! 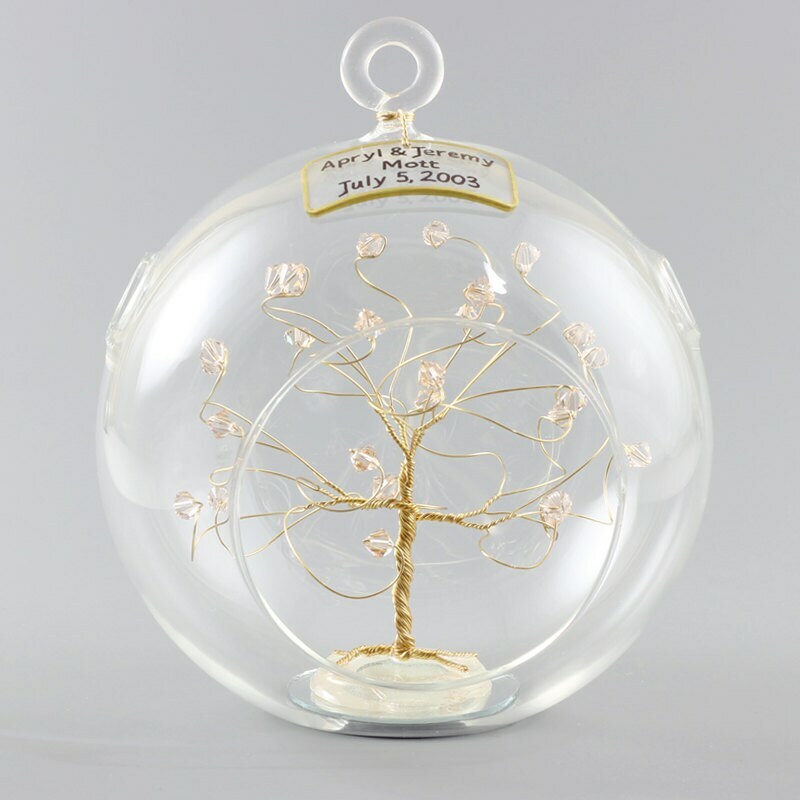 The tree is created using swarovski crystal elements, silver, copper, or gold tone wire, and a glass ball. 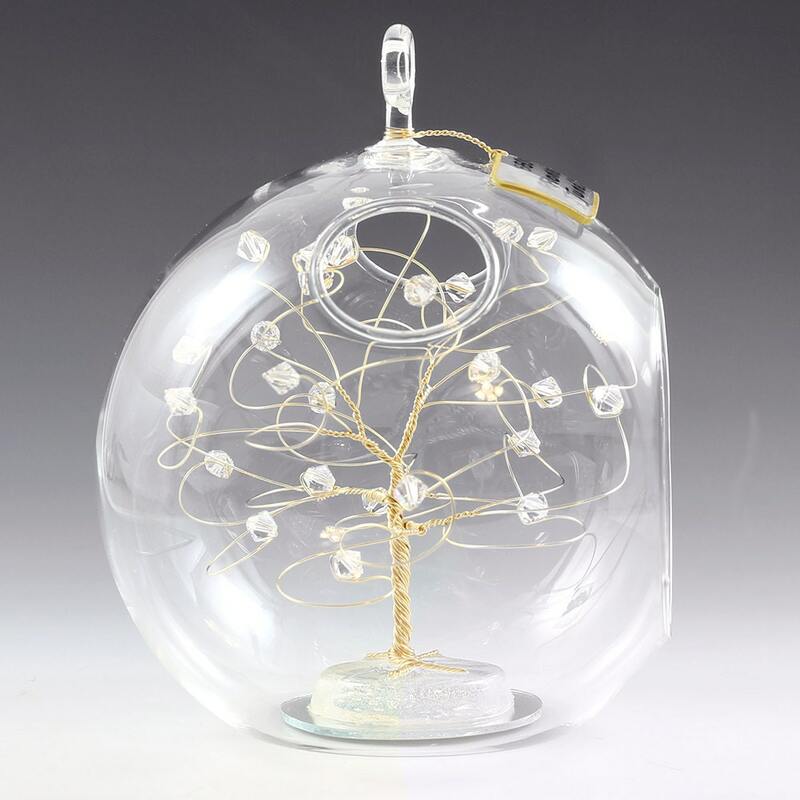 The 5.5" hand blown glass ball features a flat bottom, a hanging loop, and has two holes at the top which are shown in the photos. 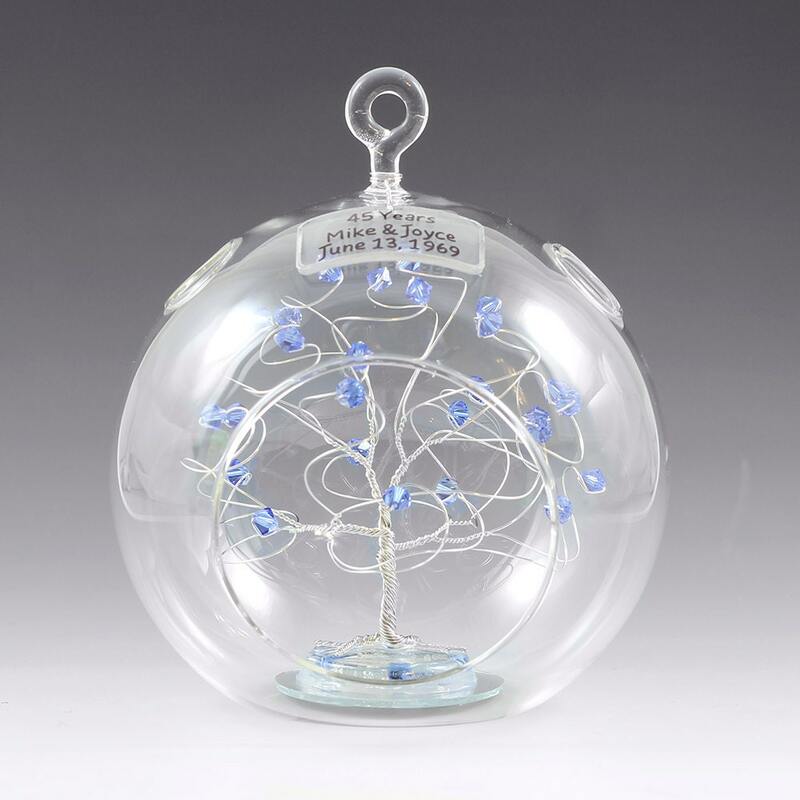 Small variations and imperfections in the glass may be present due to their hand blown nature making every ornament unique. Allow up to 2 weeks for the creation and delivery of your tree in the USA. 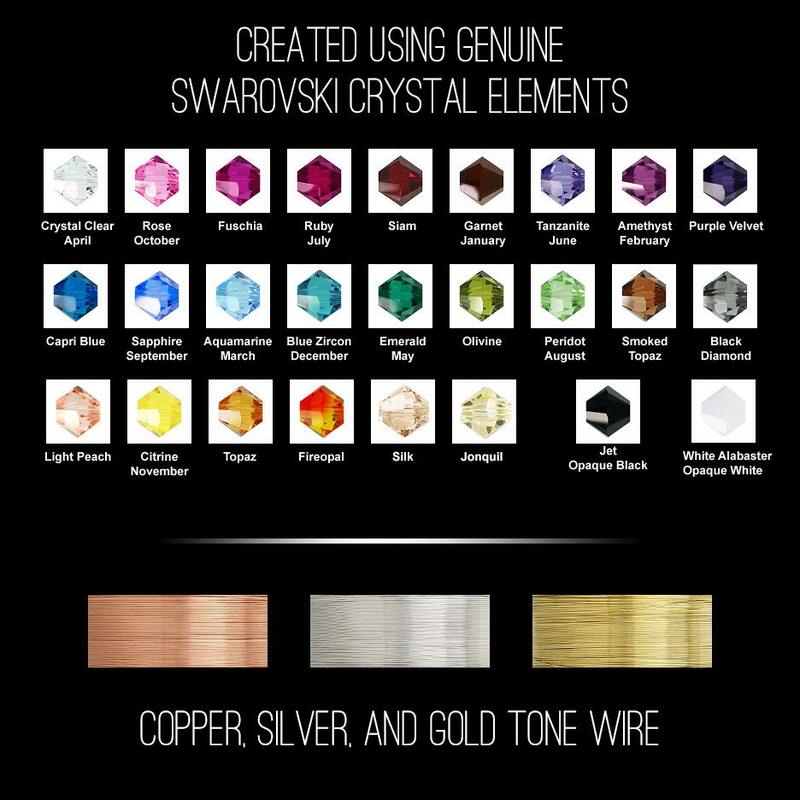 International orders can take 2-6 weeks from the ship date to arrive. Had this made for my anniversary and gave to my husband. Beautifully made, delicate, a real treasure! Fast ship and beautiful! Better than the photos show! Love it! It is even more beautiful in person! The perfect keepsake. Love it!! Really great product! Shipped very quickly! This custom made beauty is perfect! Gorgeous and so delicate. Made a wonderful anniversary gift personalized for us. Thank you.